Production recently began on Ridley Scott‘s “Alien: Covenant” and there’s a first picture to prove it. While it doesn’t show Michael Fassbender reprising his role from “Prometheus,” the image reveals a patch bearing the mark of the Weyland-Yutani Corporation. It looks to be a crew badge from the Covenant, the title ship in the movie. “The mission begins. #AlienCovenant #AlienDay426,” the film’s Twitter page revealed. Bound for a remote planet on the far side of the galaxy, the crew members of the colony ship Covenant discover what they think is an uncharted paradise, but is actually a dark, dangerous world — whose sole inhabitant is the “synthetic” David (Fassbender), survivor of the doomed Prometheus expedition. “Alien: Covenant” stars Fassbender, Danny McBride, Katherine Waterston and Demian Bichir. Jack Paglen and Michael Green wrote the script. 20th Century Fox plans to release the film on August 4 of next year. 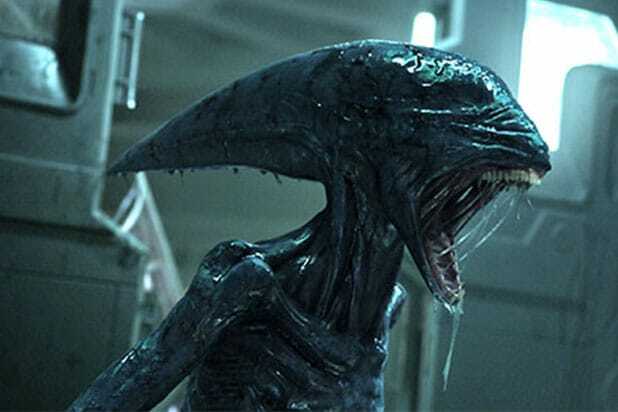 Russian animation studio 1A4 has boiled down the whole plot of "Aliens" into a 60-second cartoon. The popular channel How It Should Have Ended made not one but two alternate endings to "Aliens," each one based on whether or not Ellen Ripley actually knew anything about science and Xenomorph behavioral patterns. Editor Job Willins made a fan trailer combining Ridley Scott's contributions to the franchise, "Alien" and "Prometheus," into a single story called "Derelict." YouTube critic channel The Long Take made a 20-minute video essay analyzing "Alien" and its themes of sexual assault and patriarchy through the Xenomorphs. Video game critic Jim Sterling has a very unpopular opinion that he is willing to go to the mat for: He thinks that David Fincher's widely disliked "Alien 3" is the best installment in the entire series.